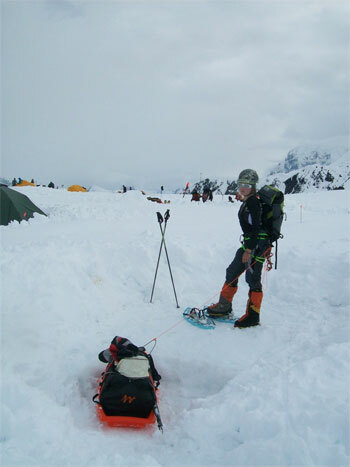 Crina Popescu COCO, 15 years-old, is the youngest Romanian climber to complete a successful ascent of Mount McKinley (June 2010) in Alaska as part of Seven Summits (incl. Everest) and Seven Volcanoes climbing series. COCO Crina Popescu. from Rasnov, Romania, has been climbing since the age of 10 years. Her goal is to climb Seven Volcanoes and Seven Summits. 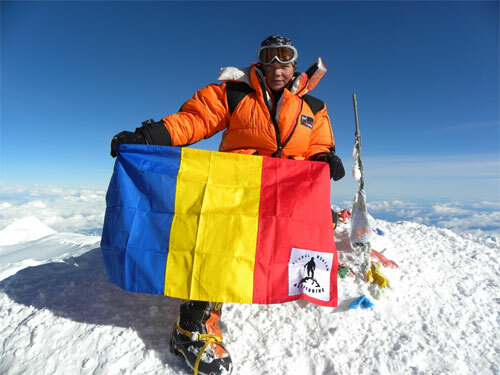 Seven Summits is the circuit with the highest peaks on each continent. She has already completed 5 summits (6962m Aconcagua, South America, Africa Kilimanjaro, 5895m, Elbrus-5642m-Europe, Carstensz Pyramid-4884m-Australia/Oceania, most recently Mr. Denali-6194m North America on June 20, 2010). The seven-circuit volcanoes includes the highest volcanoes on each continent with 6 completed (Damavand-56714m-Asia, Ojos del Salado-6893m-AmericaSouth Africa Kilimanjaro, 5895m, 5642m, Elbrus, Europe, Mount Giluwe-4368m-Australia/Oceania, 5635m Pico de Orizaba, North America), A December 2010 expedition to Antarctica is planned to climb Mount Sidley, becoming the first woman in the world to complete this circuit and not yet fully covered by any climber.